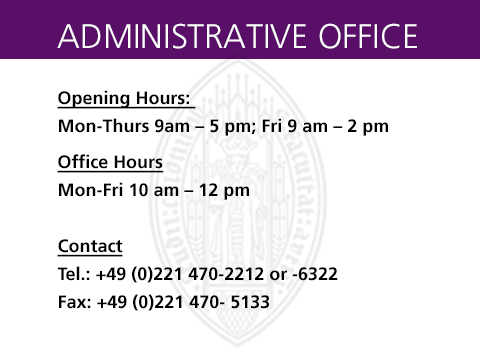 In the context of teaching and research, there are a series of administrative matters which are the responsibility of the Office of the Dean of the Faculty of Arts and Humanities. 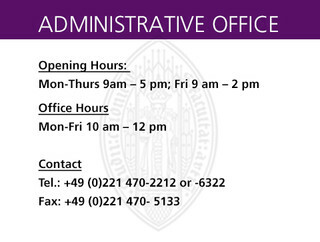 The below areas therefore provide information, downloads and contact references for the diverse issues and areas. If you cannot find the required information, please contact the administrative office of the Dean's Office.